Most of the Isle of Wight's top attractions offer discounted entry if you know where to look. 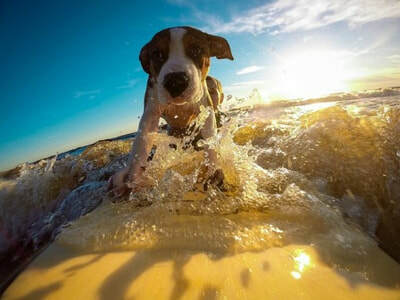 Here is our guide to getting into the best attractions for the best price. These deals change all the time so please let us know if you spot a dead link or find a deal. It is worth picking up the Official Summer Pocket Guide and similar brochures on the ferry as they include several cut out vouchers, usually for £1 off attractions or similar. And make sure you read our guide to discount Isle of Wight ferry travel before you book! You can save about 20% off entry if you book through Red Funnel at the same time as you book your ferry. 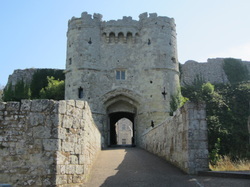 English Heritage Membership is worth considering if you also plan to visit Carisbrooke Castle. At the time of writing (2018), membership is £54 for an adult and up to 6 children. Standard entry to both for one adult is about £25. Alternatively, you can get English Heritage membership through Tesco, where £10 in Clubcard vouchers is worth £30 towards membership. ​Blue Peter badge holders get in free with an adult (Katy Hill never replied to my requests for a badge and I remain a little bit bitter). 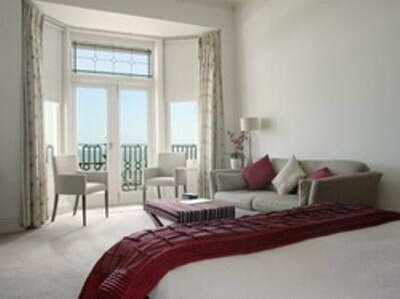 Members of the Shanklin Hotel and Accommodation Association (which is most of the hotels in Shanklin) have vouchers for guests which are 20% off Osborne from Friday to Sunday, from April to October. It costs 10% more to visit Osborne House if you Gift Aid your donation, although they are a charity of course. 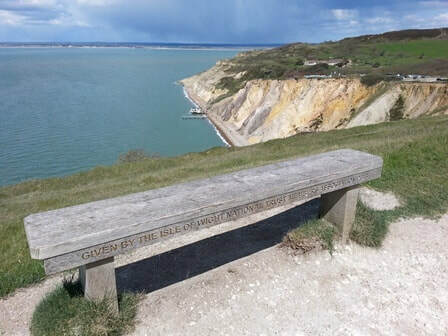 ​There are two main attractions at the Needles – The Old Battery (National Trust) and Alum Bay Pleasure Park. The car park is about £5 in the summer and there’s nowhere else to park unless you fancy an almighty hike. The main deal with Tesco Clubcard disappeared in 2018 but I'll add any new ones when they turn up. 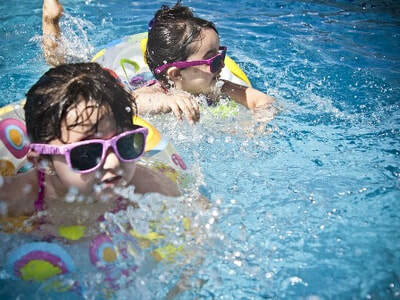 Have you seen our guide to the best Isle of Wight holiday parks? Entry is 10% cheaper if you book with Red Funnel (whilst booking a ferry). Members of the Shanklin Hotel and Accommodation Association (which is most of the hotels in Shanklin) have vouchers for guests which are 10% off Amazon World. Have you seen our guides to the cheapest, quirkiest and poshest accommodation? Choo-choo! The Steam Railway normally costs about £13-£18 for an all inclusive ticket depending on whether you travel first or third class. You can get a cheaper price if you buy in advance, so a ticket including entry and train travel costs about £11 for adults or £6 for children. They also do some 'kids go free' days. 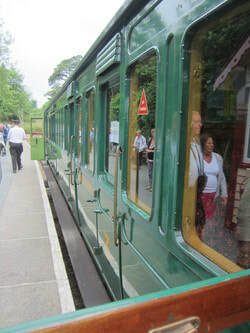 Wightlink do a foot passenger day return deal which includes the Isle of Wight Steam Railway. The Isle of Wight Steam Railway no longer participates in the Tesco Clubcard scheme. All aboard the discount express! Roar! Dinosaur Isle is not mega pricey but you can get a discount from Red Funnel if you book tickets at the same time as booking a ferry. The adult price drops to about £3 to £4 depending on the time of year rather than the usual £5. Brading is the main Roman Villa on the Isle of Wight. We can't find any discounts at the moment, but we'll add a link if Red Funnel or Wightlink start doing a deal again. ​There's a discount to Carisbrooke Castle available if you book at the same time as booking Red Funnel tickets (20% off when I checked). 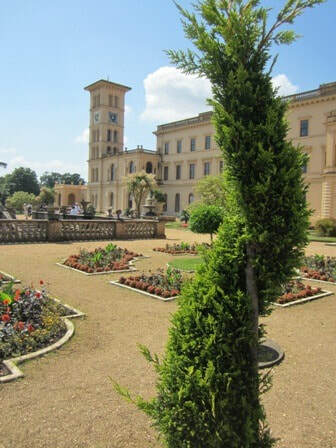 English Heritage Membership is worth considering if you also plan to visit Osborne House. At the time of writing (2018), membership is £54 for an adult and up to 6 children. Standard entry to both for one adult is about £25. Alternatively, you can get English Heritage membership through Tesco, where Clubcard vouchers are worth three times as much if you spend them on membership. ​Members of the Shanklin Hotel and Accommodation Association (which is most of the hotels in Shanklin) have vouchers for guests which are 20% off Carisbrooke Castle om Friday to Sunday, from April to October. Blue Peter Badge holders get in free with an adult. 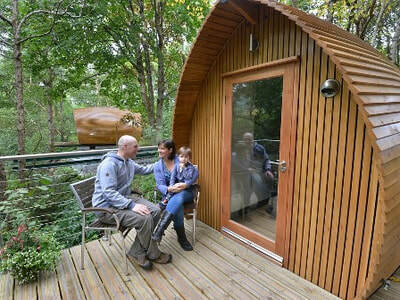 Robin Hill Adventure Park and Blackgang Chine are two of the Isle of Wight's busiest attractions - but neither offer much in the way of discounts very often. I've included them here as very regular visitors can get a deal. For 2018, a standard peak time Blackgang Chine ticket is £22 whilst Robin Hill is £20. You can save about £1 per ticket if you book online in advance. An annual pass for either park is £34, or £63 for both. So, if you plan to make two or more visits to Blackgang Chine or Robin Hill in a season then you would be best to get a frequent visitor ticket. Bear in mind that a standard ticket includes free returns within 7 days. 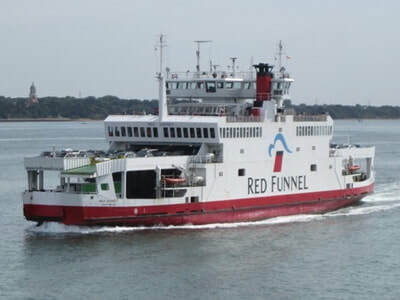 Buying Isle of Wight Zoo tickets whilst booking through Red Funnel gets you up to a third off. Hovertravel do an all inclusive deal for the hovercraft, bus travel and zoo entry (£35 for adults and £20 for children at the time of writing, 2018). 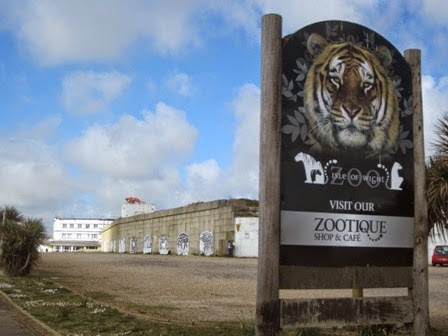 ​Members of the Shanklin Hotel and Accommodation Association (which is most of the hotels in Shanklin) have vouchers for guests which are 10% off Isle of Wight Zoo. There's a discount for Isle of Wight residents (not sure how much though) and you can get half price return within seven days. 5% discount for 'any tree climbers that travel to the Goodleaf field on public transport, pedal power or by foot'. Book your tickets at the same time as a Red Funnel ferry to save a quarter. 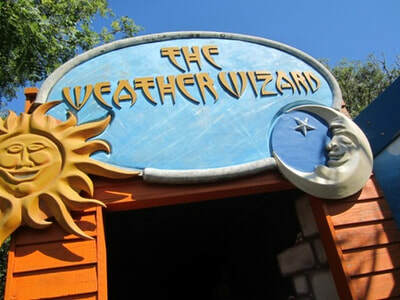 ​Regular visitors can buy annual passes. As of 2018, an annual pass is £29.50 for an adult, so you would need to visit four times in a year to save money. 10% off with Red Funnel (if you are also buying a ferry journey). People Matter IW has produced a PDF guide to which Isle of Wight Attractions give discounts to carers (it was produced in December 2013).